How I Gained It: I was a huge emotional eater at a young age. I ate a lot of junk food. I was a huge fan of Little Debbie Zebra Cakes, Hostess Orange Cupcakes and Ho Hos. As the years went on, I continued to pack on the weight. In high school, I was 6'1" and weighed around 300 pounds. By the end of high school I was 6'3" and weighed over 350 pounds. Throughout college at North Carolina Central University I yo-yoed up and down between 320 and 380. After graduating, I continued to pack on the weight. Breaking Point: My journey started after a visit to the doctor's office in 2010. He said that I needed to make some changes in my life. During that visit he also mentioned that I had high blood pressure and prescribed pills to help regulate it. I hated any type of medication, but I realized that high blood pressure could lead to other health issues. 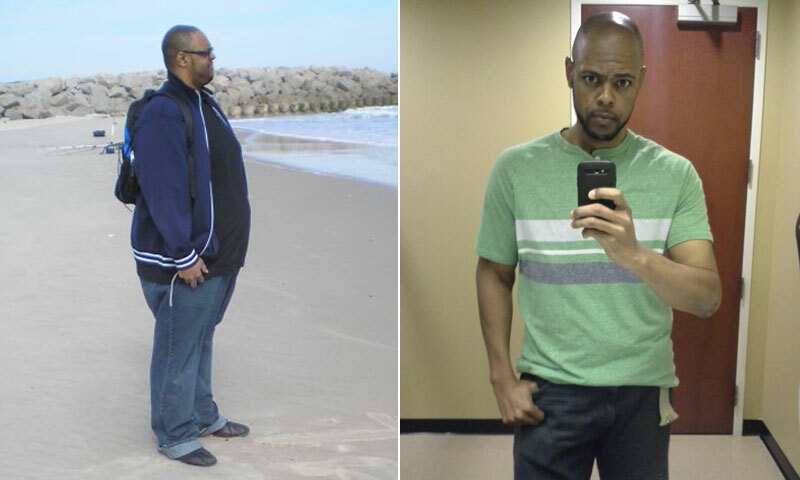 How I Lost It: After my doctor’s visit in 2010, I began to change my diet and increase the amount of exercise I was doing. The subtle changes worked. 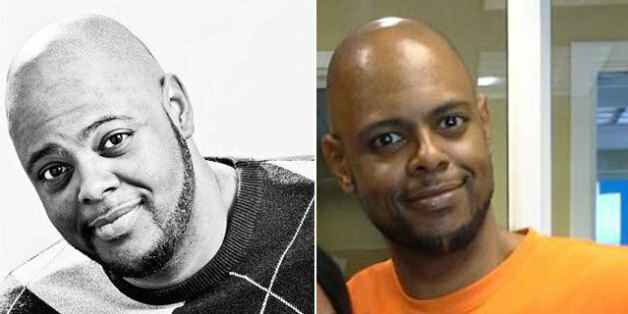 From 2010 to June of 2012 I lost 52 pounds dropping from 399 to 347. In June 2012, I was asked to join MediFast Weight Control Centers. The arrangement was made through my job at Radio One Raleigh and The Light 103.9FM. The deal was that I would work the program and talk about it on the air during The Yolanda Adams Morning Show. When I started with Medifast I weighed in at 347. About two weeks after joining MediFast, I started working out at the local YMCA. From that point on, the weight loss really began to show. Later on that year I was asked to speak about the organization on the radio. Over the next seven months I began to see an amazing transformation. My clothes began to get looser. I had more energy and could do more for longer periods of time. My co-workers and friends started to comment about the changes that they were seeing. I couldn’t believe that it has actually happening. I've done a total 360. I can breathe -- for years I suffered from asthma. I always seemed to be winded. Now I feel great! I'm extremely happy with the results. 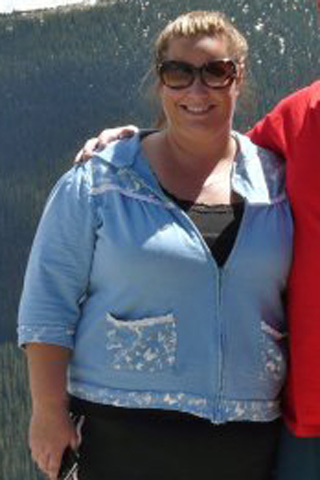 Since starting this journey in 2010 I have lost over 150 pounds. I started off with a 54-inch waist and now I'm able to wear a 40. My shirt size went from 4XL to XL. I've met all of my initial goals. I wanted to weigh 250 pounds or less. DONE. I wanted to feel and look good in nice clothes. DONE. And I wanted to be able to move, run and jump without restriction. DONE! I'm in a better place than I've ever been. It still feels like I'm looking at someone else's reflection on a daily basis. I'm reminded everyday that past issues always play a role in future results. Getting your mind right prior to starting a weight-loss program help with making your results attainable and maintainable. If not, you're just wasting your time. These days, I'm still working out four to six days a week at the YMCA. I love taking advantage of the kickboxing and Zumba classes. I've also completed two 5K races and spent a lot of time riding my bike around Durham. A lot of folks stop me now and ask me how I did it. I let them know that anything is possible if you believe in yourself. Current Weight: 245 pounds. My new goal is to reach 235 pounds by December.